In terms of turnover, the Varroc Group, though unlisted, pips most listed companies on the national bourses, including some of the biggest corporations. What’s more amazing is that this incredible achievement has come off the efforts of a first generation entrepreneur, Tarang Jain. 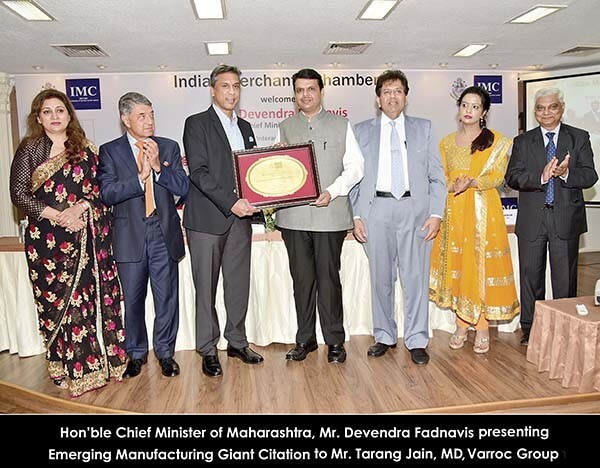 Originally from Delhi, Tarang Jain’s journey to success began in the early eighties in Mumbai. After graduating from Sydenham College of Commerce and Economics, he apprenticed with a few local companies and interned with his twin brother, Anurang, at Kaycee Industries Ltd (an electric switch company where their father, Naresh Chandra Jain, was the chairman) and then at Bajaj Auto Ltd, which was headed by their maternal uncle, industrialist Rahul Bajaj. After about a couple of years at Bajaj Auto, the brothers, motivated by their uncle’s success as an entrepreneur, felt inspired to start their own business. Their preferred line of business was understandably something related to automobiles. 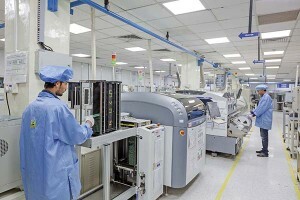 This had them looking to Pune, India’s automotive capital, to get things rolling, but fate took them to Aurangabad instead, an upcoming industrial township in the interior of Maharashtra. “It’s destiny which brought us here,” says Tarang Jain, sitting in his posh office at the Varroc headquarters in Aurangabad. 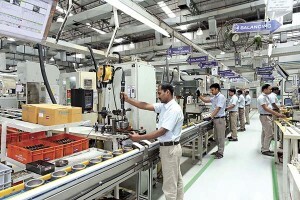 “Though we wanted to start a factory in Pune, we got a licence for Aurangabad, it being the days of the Licence Raj, when the central government gave you a licence and few options as to where you could put up a factory.” This, however, was a blessing in disguise for the brothers as Bajaj Auto was in the process of putting up a second plant in Aurangabad at the time, thus creating possibility of their uncle’s support, which was forthcoming. “We were fortunate as my uncle gave us an opportunity to become a supplier for Bajaj Auto, which we grabbed with both hands. He suggested an aluminium die-casting project for making engine covers for Bajaj scooters and a couple of other allied products,” says Tarang Jain. With that, in 1985, Anurang Engineering Co Pvt Ltd was born. “But he only provided us with the opportunity, which, of course, was something very big and for which we will ever be grateful to him. After that, we brothers had to manage and compete,” adds Jain. A couple of years later, in 1987, as their business grew, Tarang Jain felt he needed to enhance his management skills and proceeded to the International Institute for Management Development (IMD), a business school in Lausanne, Switzerland, for a year-long MBA course. Upon his return, he joined the business again, but soon after the brothers parted ways amicably with Tarang setting off to make his future in plastic/polymer moulded components for two-wheelers—an emerging material for light weighting in those days—while his brother Anurang continued to manage and expand Anurang Engineering. 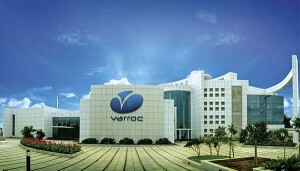 As a result, in the early nineties, Varroc took to manufacturing products like starter motors, AC generators, lamps and handle bar switches for two-, three- and four-wheelers and also got into manufacture and supply of machined forgings and components like engine valves and gears which comprised the new metallic division. To do all these, Varroc initially had to resort to tie-ups with Japanese and Italian firms. One among them was Scarpa & Columbo of Italy, together with which his company Durovalves India Pvt Ltd supplied engine valves to Bajaj. Another was Delphi Corporation of the US, with which his company, Varroc Exhaust Systems, collaborated for supply of catalytic converters. There were additional tie-ups with Japanese component suppliers like Mitsuba and Shindengen for electrical and electronic components. Along the line, Varroc gradually began to set up its own engineering centres and today the group boasts 11 of them around the world with cutting-edge R&D, testing and validation labs. With these also came professionalism which saw Varroc put in place strong systems, processes and policies, including the ‘Total Productive Maintenance’ system, all of which helped drive quality and efficiency throughout the group. These initiatives were not only to help Varroc stay ahead of competition but also establish itself as a world-class player with its own technology and range of world-class offerings. One of Tarang Jain’s strongest qualities is the ability to take calculated risks which spurred him to acquire two Italian companies between 2006 and 2011. The first was Milan-based Imes SpA, which manufactured large forgings for Caterpillar vehicles and the off-road oil drilling industry. With manufacturing units in Italy and Poland, Imes SpA strengthened Varroc’s forging business in the European market. The second was Tri. O.M. Spa, the largest supplier of two-wheeler lamps in Europe, in which Varroc bought a controlling stake (80 per cent) in 2011. The company had factories in Romania, Italy and Vietnam. In between, he also set up a joint venture with Plastic Omnium, a global plastic exteriors company for four-wheelers, in which his son, Arjun, later started his career, in Detroit, USA. Emboldened by these successful acquisitions, Tarang Jain turned in 2012 to his most ambitious business move yet: the takeover of American auto component giant Visteon’s exterior lighting business. The acquisition immediately doubled Varroc’s turnover to over a billion dollars. Once owned by Ford Motor Company, the rechristened Varroc Lighting Systems had an established clientele, world-class technology and a global manufacturing and design footprint. 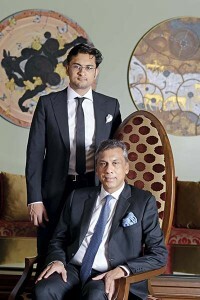 A year later, in 2013, Tarang Jain’s elder son, Arjun, joined the family business. He had studied in the US, double majoring in Economics and Political Science at Vassar, a liberal arts college in upstate New York. He began his career in Detroit with a six-month stint at French MNC Plastic Omnium. 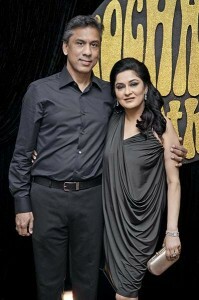 He then returned to India, to work at one of the ‘Big 3’ management consulting firms, Bain & Co, in their Mumbai office. He spent two years there working across a range of industries and competencies before finally joining ranks with his father at Varroc in 2013. “I started at Varroc in 2013, in the strategy function,” says Arjun. 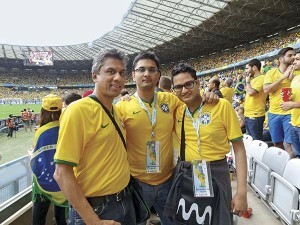 “Around that time, I remember we’d decided that our vision was to be a `20,000 crore company by 2020 and were in the process of defining, as my dad puts it, both ‘where to play and how to win’.” Then, he spent a year leading the restructuring of the company’s supply chain function, as well as participating in other key strategic initiatives in the areas of manufacturing technology and material cost reduction. 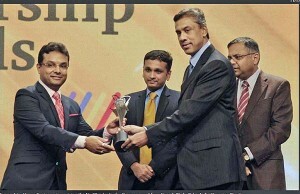 As a result of this, he was promoted to ‘Business Head’ of Varroc’s ‘Electrical/Electronics Business Unit’, which manufactures a host of Varroc’s proprietary and high growth products such as starter motors, magnetos, lighting units, handle bar assemblies, digital instrument clusters, ignition controllers and voltage regulators. As the head of the division, he says his prime accountability is achieving the growth expected from the business unit, while, of course, ensuring consistent profitability and sustainability. However, there has been the occasional challenge too such the recession of 2008, when sales went down. Also, getting tie-ups with overseas companies in the growth stages of the company was not easy. And buying, managing and running overseas companies profitably did give anxious moments, considering the fact that he had no prior experience in the field. But thanks to the values of Sincerity, Humility, Integrity, Passion and Self- discipline, or SHIPS as he calls them, that he has inculcated and also impressed upon his organisation, these challenges were overcome with relative ease. Tarang Jain’s business spans across the globe today. About 70 per cent of it is abroad and the rest in India. His clients include Bajaj Auto, Hero, Honda, Ford, the Volkswagen Group, Tesla, Jaguar Land Rover, Fiat-Chrysler and Daimler, to mention a few. The company posted a turnover of `8,600 crore in FY15-16 and then achieved double-digit growth in FY 16-17 to touch `10,300 crore in sales. Given Tarang Jain’s many achievements, the awards and accolades heaped upon him are also many. The most prestigious of these are being honoured with the ‘Autocar Professional Man of the Year 2011’ title (by Autocar Professional magazine) and being named ‘Nextgen Entrepreneur of the Year 2013’ at a ceremony hosted by Forbes India magazine. 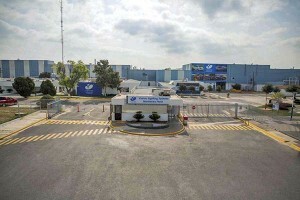 In the process of growing from strength to strength, the Varroc Group, however, has not remained caught in just raking in the moolah but also has diligently ensured health, hygiene and motivation for its staff, not to forget living up to its environmental and social responsibilities. One among these is the Kham River project in Aurangabad, where a vital stretch of the once choked and putrid river was cleaned up and several “green bridges” constructed along its course to prevent the river from getting clogged again. A further stretch of the river is scheduled for clean-up in the next phase of the project. That apart, Varroc also supports an academy for cricket in Pune, together with star cricketer, Dilip Vengsarkar. Called the Varroc Vengsarkar Academy, it boasts excellent facilities and professional coaches, where young, promising cricketers undergo training. In addition, young Aurangabad-based sportsmen from other fields such as rifle shooting, bodybuilding, chess, etc, are also sponsored and supported. 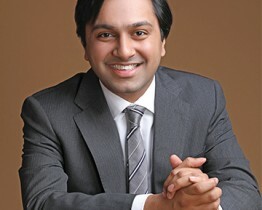 Tarang Jain’s leisurely activities include sports and visiting historic places. He also is an avid collector of lithographs of rare 19th century Indian paintings, some of which adorn Varroc’s office in Aurangabad. He is married to Rochana, an interior designer, who is credited with designing the corporate office and some of Varroc’s factories as well. The couple lives in Pune with their two sons, 27-year-old Arjun and 21-year-old Dhruv, who is currently studying economics at the University of Chicago.